RPGs you were interested in but never got to play? For me these only appeared in Dragon magazines never in the bookstores of the town i spent my junior high to high school years and my Senior year of high school in Britian i was lucky to find 1 other kid at my high school who played D&D and Car Wars and forget ever seeing a Dragon mag because i lived in the tiniest village in the English countryside. Owning Star Frontiers i wasnt really interested in Traveller but the ads for Twilight 2000 always intrigued me. Perhaps in part because i grew up on a SAC air force base where they would never confirm nor deny the presense of nuclear bombs although it was openly known that our FB 111s were tasked with flying to Russia if war broke out and landing in Turkey. With the advent of ebay i eventually satisfied my curiosity concerning Paranioa & Toon. Gamma World. Last year I finally acquired a copy of the boxed 1E version, after first seeing the cover way back in 1982 when I first started playing D&D. It took quite a long time to find one on Ebay that wasn't crazily expensive. I've refereed quite a lot of RPGs that I've never actually played myself: Twilight:2000, TMNT, Call of Cthulhu, for example. I didn't play Star Frontiers as much as I wanted, believe it or not. Well, there was some Ancient Egyptian RPG I had picked up. Something called Battle Arena, which I think TSR later bought. Ah, Elf Quest! Based on the graphic novels. (I have that one in a tote somewhere). The GURPS supplement on The Prisoner. Paranoia was interesting, but a friend of mine owned that and I only played it maybe three times. I was in a beta test group at a convention in Ann Arbor for the Star Wars RPG but never picked up the game. Aha, yes - the Doctor Who RPG. Several friends had the FASA version but we never got around to playing it, which is a shame. I've played Traveller:2300 a lot. Our RPG group started playing it the week it came out in the UK and had an on-going plot-line for at least 3 years. Yes, the lethality of weapons in Twilight 2000 was not a problem... except as a PC on the receiving end. My list of games that I have owned or played is much shorter. In addition to D&D/AD&D and SF (and Top Secret, which is easily forgettable) I played a lot of 1e Traveller. I have no idea what changes were made in the 2300 & Mongoose versions. Oh yeah, I played one session of Indiana Jones, what a stinker that was. I picked up a few of those pocket/micro RPG games that were popular in the hobby stores back then, a full/quick game that you could buy for $2-3. Aside from a Car Wars version I don't recall the names of any of them (but I still have some of the chits I saved for incorporating into SF). Now, I have picked up plenty of modules that I never got to run -- quiet a few SF ones simply because my friends weren't too interested in playing the game very much. But I liked the writing of the stories. The whole Beyond the Frontier trilogy... nope, never played it... yet. I think I would have liked to play that steampunk game produced by GDW... was it Space 1899 or something like that? That sounded interesting. The Indiana Jones game... glad I never bought that one. I think I played it once. I have the rulebook for Starfinder on delivery as I type this. Always wanted to try Traveller, but didn't know where to start. very little D&D, never got into the fantasy games. Mostly stayed with sci-fi. Top Secret taught you to avoid combat. Not because it's deadly...it can kill you, but rather it simply took forever to resolve. Think of it as the precursor to later editions of AD&D. Oddly enough when I was young I wasn't either. When I got older and started getting into westerns, it suddenly tweaked my curiosity but by then it was long out of print and the internet wasn't readily available/affordable. Aftermath was another RPG that looked interesting but I never played it. It seemed tricky to find in the UK. Nowadays I bought it as a PDF and it still looks interesting, but I've heard that it's combat system is a bit 'tricky'. Top Secret seemed interesting too. A new version was released quite recently. I need to second Gamma World. 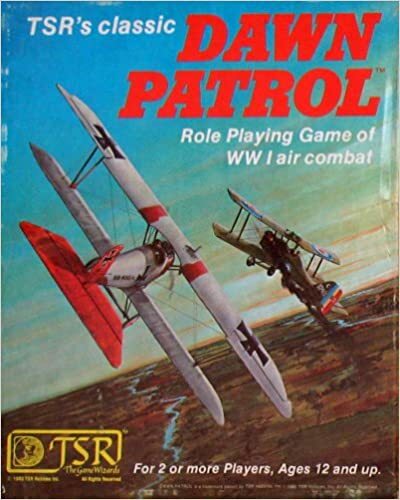 Was Dawn Patrol an RPG, I thought it was a board game? I'm suddenly more interested in it if it is a RPG. I've played a few sessions of MERP and wish that I had played more. Rolled up a few characters for TNMTs and that was a fun activity. Really liked the Space 1889 materials I got on ebay but never played. HARP by Iron Crown but allas its to hard to convice players to give it a whirl- bunch of grognards like their D&D and fearfull of something new. It says RPG on the box, but I don't know. Huh. isn't that interesting. I may need to watch ebay for it and consider a campaign with my kids to teach a little History as well. Although I love Wings of War for WW1 arial combat. While it seems to be more of a board game, it does have RPG aspects to it!
" ...each player creates and builds a roster of his own fictional pilot personalities to represent various pilots who fly each type of plane of each nationality. Newly-created pilots are given a name and assigned to a particular aircraft. When that aircraft comes up for a player to play, he takes that pilot and starts as a rookie, at certain disadvantages. If the pilot survives missions, he gains experience and additional abilities, attempting to reach experienced status (12 or more missions) or ranking as an Ace (5 or more enemy planes shot down)..."
The group still has a fan magazine too! I'm jealous. 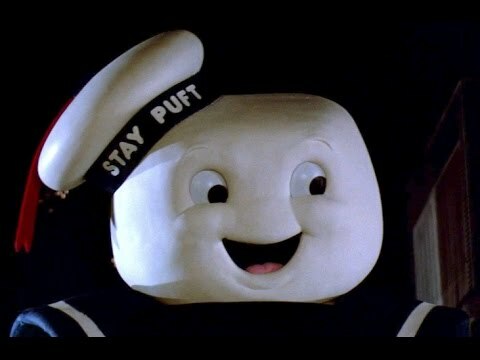 Ghostbusters was another one I wanted to try. IIRC Dawn Patrol/Fight in the Skies was pitched as both a war game and RPG. Hard copies of either edition are tough to come by. Dragon Warriors was another interesting game that I didn't get to play, although my brother and a few of his friends were big fans of it. It was an interesting system, based around a few inexpensive paperback books, and was rebooted awhile ago. The original books now seem to be selling on Ebay at crazily high prices. I'm not sure if the RPG made it across to the US. Dark Conspiracy was good fun. I played it possibly 4 or 5 times, bolted on to a group that had been playing it for quite a while. For a long time, my "can't play" was just about anything not D&D* My brother and I would buy several games, but the wider group wouldn't touch anything not AD&D. He & I sort-of played Star Frontiers, Dawn Patrol, FASA Star Trek, 2300AD; but we usually drifted to the wargame side of these, much less as RP, since it was just the two of us. *Exceptions to the above: I ran a few Top Secret one-shot games that were well-received, but no one wanted to expand to a campaign, and I'm not sure how I would have done it, anyway. - I ran a year-long campaign of Twilight:2000 (first of several) that also was well-attended and popular. A later Merc campaign with some of the same players also worked. Kinda wish I still had Dawn Patrol; about 4 years ago, I ran an RPG of mercenary fighter pilots in the Russian Civil War, 1918. I used Wings of War for the flying (and minis) and Savage Worlds for everything on the ground. I mostly GMed D&D of all editions since Basic/Expert Moldvay, Star Wars WEG, Star Wars d20, Star Wars SAGA. More recently Numenera, Coriolis the Third Horizon - which is a very good RPG imho. I didn't play enough of Star Frontiers with my original box. I was thinking of GMing a Frontier Space campaign after buying the PDFs but I will be running a Esper Genesis Sci-Fi campaign instead. It uses the D&D5E rule engine. Alternity, I had forgotten all about that one. I think that was the one TSR brought out to replace Star Frontiers, even had some of the SF races in the game. There were good things and bad things about Robotech, it would eventually give birth to Rifts where scale creep and weapon damage and armor sky rocketed to the point of silly. Yes, the idea of an armored vehicle can take more damage than a common vehicle made sense. The mega-damage rule was a good idea, but in later generations of Robotech when human infantry got mega-damage body armor and could take more damage than a normal car. It works if you just stay with the Macross part of it. Yes some of the races where the same as SF and they were also used in the D20 Modern Future book. about 4 years ago, I ran an RPG of mercenary fighter pilots in the Russian Civil War, 1918. I used Wings of War for the flying (and minis) and Savage Worlds for everything on the ground. I'm curious about this any advice on doing something like this?